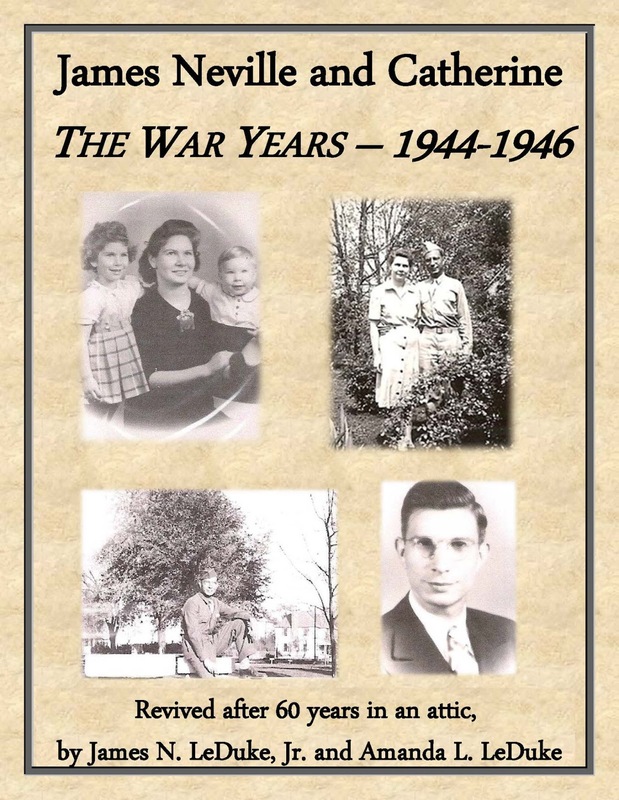 Last week we gave you the Foreword and Introduction of the book my daughter and I have put together of Catherine and James Neville's letters to each other during World War II. As promised, here's Chapter One. While the final edition is still being worked on, we'll be publishing select chapters in the coming weeks. 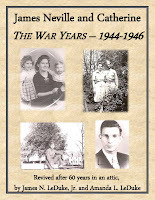 If you're interested in a copy of the book once it comes out, let us know. In the meantime, enjoy Chapter One. We are in Memphis at the bus depot. It’s about 9:30. I called your mother a few minutes ago. Didn’t go past there. Didn’t feel up to it. So far so good. Started to call you, but decided it would only make bad matters worse. Just start me crying and I couldn’t do it with these boys in public. So far they have behaved nicely. I thought we managed the leave taking as well as we could. I love you so much. I haven’t realized yet what being apart means yet. Hope you make out Saturday on route okay. Tell Cathie and Jimmy hello for me. P.S. I’ll think of you every hour. Can’t write more now. I love you. On Friday, April 7, 1944 James Neville LeDuke of Tiptonville, Tennessee boarded a bus along with several other inductees all bound for Camp Shelby, Mississippi to be inducted into the United States Army. Camp Shelby is one of many reception centers across the United States used to receive new recruits and evaluate their skills and make decisions as to where they should be placed in the Army. Go here for the rest of Chapter One.